K-pop, described by Time Magazine in 2012 as "South Korea’s greatest export", has rapidly achieved a large worldwide audience of devoted fans largely through distribution over the Internet. This book examines the phenomenon, and discusses the reasons for its success. 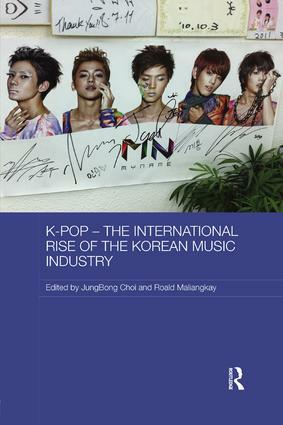 It considers the national and transnational conditions that have played a role in K-pop’s ascendancy, and explores how they relate to post-colonial modernisation, post-Cold War politics in East Asia, connections with the Korean diaspora, and the state-initiated campaign to accumulate soft power. As it is particularly concerned with fandom and cultural agency, it analyses fan practices, discourses, and underlying psychologies within their local habitus as well as in expanding topographies of online networks. Overall, the book addresses the question of how far "Asian culture" can be global in a truly meaningful way, and how popular culture from a "marginal" nation has become a global phenomenon.